The map features very low gravity (0.25 gravity) outside and normal gravity inside the bases. There is a trap in the middle of the map (at the Udamage) which has been made in Blueprint. Shoot the button and try to trap & kill someone inside. There are also team based doors, which only open for a certain team. I agree that this content constitutes a Submission under the Unreal Engine EULA ( https://www.unrealengine.com/eula ). 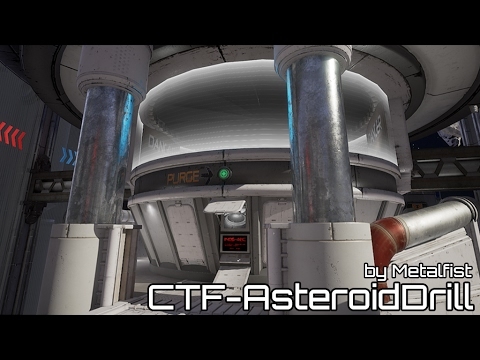 Download the latest CTF-AsteroidDrill from UTCC! Save it in "YourUserName"\Documents\UnrealTournament\Saved\Paks\DownloadedPaks and it should show up in Unreal Tournament. - Camera + monitor at the trap. - Improved trap (fixed some minor issue, reworked the area, new sequence, added alarm lights and a giant laser ). - Added more ambiance to make the level more alive (fans, pipes, boiler, sounds, particle effects). - Added little plateaus to indicate where you can wall run outside. - Changed pickup locations. Flak cannon is now inside. - More health in the middle. - The blue teamdoor has a blue lock. 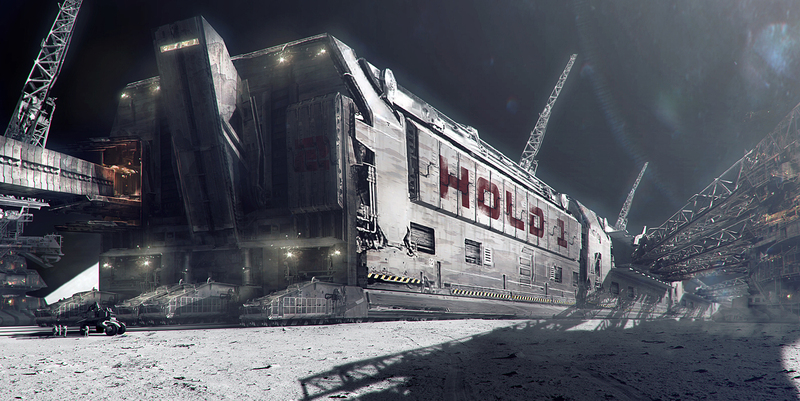 - Added more asteroids/moon in space. Sun is placed closer now. - Made the teamdoor BP work on sideswapping. - Disabled sideswapping as the colored sticker doesn't update and the lights on the jumppads don't update to the right color on sideswap. - Connected more paths together. - Made drill more logical. - Made jumps more forgiving. - Added extra jumppad for the flag jump. - Altered the "liftjump-upperlamps"-route to guide the player more. - Added extra geometry in the midfield like geometry to block line of sight for snipers, extra cover for mid and more flow in general. - Forcefields are not blocking bullets now. - Closed off old jumpboot area. - Added teleporters for extra way up the roof. - Added PostProcessingVolume to brighten the map a little more. - There is a bot navmesh for this map. Last edited by Metalfist; 10-19-2017, 08:02 AM. Updated with WIP3. See first post for pictures. - Completely remade the midfield so it is smaller and more action based. - Make jumps more easy to make. - Close off the jumpboot area to prevent camping. Last edited by Metalfist; 11-20-2015, 05:23 PM. Hey thanks for giving it a try and your reply ! I will try to find a place for the solar panels which is a bit more visible to the players (and logical). I still need to do some proper lighting as these are just temporary lighting. So don't worry, that will be fixed. 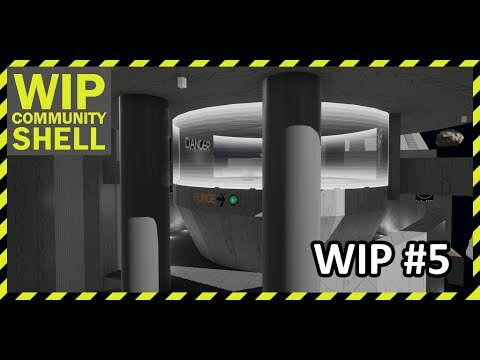 Updated the map to WIP 4! Last edited by Metalfist; 02-12-2017, 10:09 AM. Looking good so far. 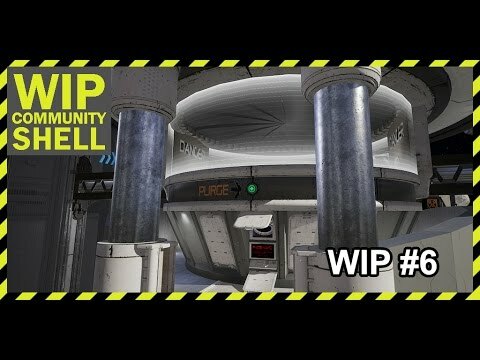 I really like your use of wall jumps to reach higher spots and the BSP work looks really clean and well done. My only suggestion by just watching your video is to make it more obvious as when and where to wall run/jump. While those moves are really fun for experienced players to do and figure out, new players have a hard enough time with just using wall running. Requiring wall run to get around ssoo much in the map without pointing out the obvious is going to make the map frustrating and discouraging for new players when the vets are running all over the walls grabbing all the sweet power ups that they cant get. Keep up the good work, also the trap is pretty kewl. I really like the theme and the player interaction with the level. It feels UT and with proper meshes can look real nice. Of course it is not required to wallrun / walldodge on the map. Most things should be reachable by walking and jumping. For pickups I try to keep them on the ground so players have a reason to come down and to prevent all the wallrunning/dodging players from claiming all the pickups. Also I try to have the less dangerous weapons inside the base and the more dangerous outside the base so players have a reason to go outside of the base. Fixed a little issue with some player starts near the teleporters and change the preview screenshot texture to UI. Found some replication issues during testing these will be solved in WIP4-2. Last edited by Metalfist; 12-10-2015, 03:17 PM. Check first post for download link! - Improved trap (fixed some minor issue, reworked the area, new sequence, added alarm lights and a giant laser (that makes everything better right ? ). I would like to know what you guys think about it ! Last edited by Metalfist; 01-04-2016, 02:12 PM. Wow, awesome work. If you are open to suggestions/criticism, let me know! Hello. Sorry to take so long to get back to you. So I know the map is yet to be fleshed out, but from what I can see from the video (I know the video is old, but in truth I don't have UT installed, and gameplay testing is not really my thing) The map is just BEGGING for some epic meshwork, and would fit REALLY well with Outpost assets. The other thing this map needs is some serious setting. By 'Setting' I mean a visual set of queues to help the player feel 'grounded' in their location. The planet in the skybox and the directional light are AWESOME starts to this, but a bit of colour contrast in the skybox and some 'landmark' assets would help solidify the feeling of place. With proper grounding, the player should never feel lost. Some things I would want to see is the map to feel like one big device. You have the massive drill(?) in the centre, and that is good, run with that. Have the rest of the map be filled with supplementary machinery that keep that drill operating: massive power conduits, huge chunks of asteroid being conveyed into the distance, large cooling pipes pumping cool water in and hot water out (would be a REALLY good way to logically label reb/blue zones), you get the idea. 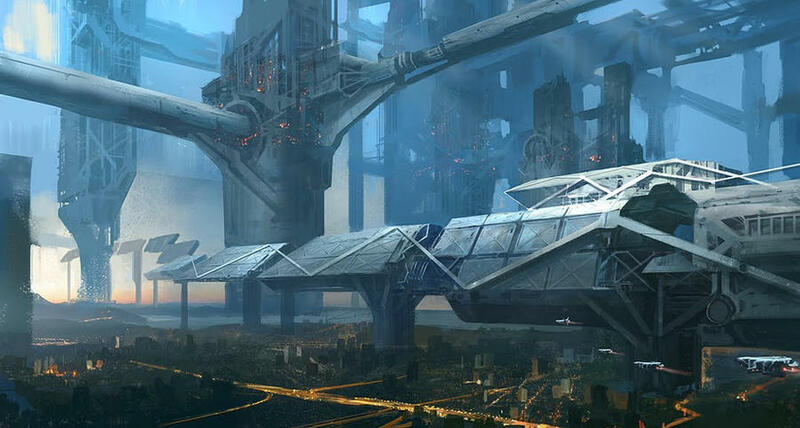 I dug up some google images to help convey exactly what I see this map becoming. With a colourful, awe-inspiring skybox and clever use of big setpeices related to the 'asteroid mine' theme, you could REALLY make this map awesome. Thanks for your ideas! Yes, as you said I'm tweaking the gameplay right now, but this is also good stuff to think about when dressing up the level with assets! 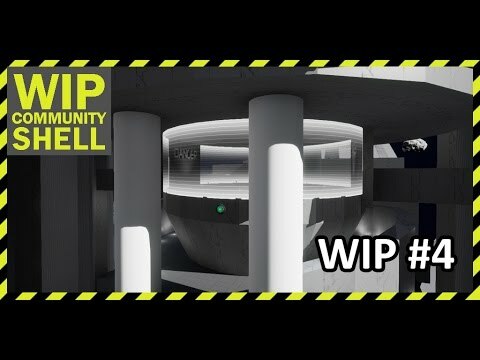 I added some updated screenshots of WIP5 and I'm going to make a new video that showcases the level a bit more. Pretty cool map, looking forward to future developments, especially the meshing. That being said, if you need a custom space themed track for the map, I'd be happy to make one, or you could pick my track Astra perhaps (which was intended for somebody's space map, but that map didn't get finished) if you like it. I've been working on creating a flythrough of the level with matinee! The export movie button in matinee crashes the editor so I had to be creative with finding a workaround to record it. Map plays really well with a grapple. If you're interested in seeing how well, I'd be happy to let you alpha/beta test Chaos with us. I love big maps, which allow room for things like big turrets, vortexes, and grapples and whatnot, but even so - this map is big! The rooms/spaces are huge. My biggest suggestion so far would be to scale it down a bit, while still keeping it large.